Sharing a meal is one of the oldest rituals, pastimes and arts of humanity. An act universally recognised as one of hospitality and community. A symbol of friendship and kindness. Yet I fear we are slowly losing connection to this communal tradition. My grandmother, Anita. 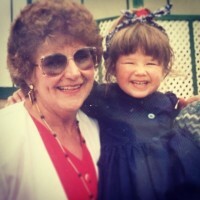 I lost my grandmother to an illness that took her life ever so quickly in January 2002 when I was 10 years old. There wasn’t much warning, and a strong possibility that surgery to remove her cancerous brain tumour would be successful but with the snap of my fingers she was gone. And every opportunity I had to learn from her and share my life with her as I grew into a woman was gone. I’d have her back at my table this evening just for a few beautiful hours to learn from her again, yet with the development of an older and wiser adult brain and a sense of longing to make up for lost time. I’d play some Doris Day and dance around the kitchen with her as I cooked, just like she used to. A musician, Ed Sheeran. 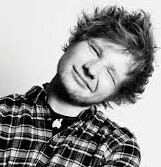 Of all artists I like, I’m not really sure why I’ve chosen Ed but he genuinely seems like he’d be great dinner company. Though my grandmother may be insulted by his 100+ tattoos, he’s only 2 months older than me, he’s a ridiculously talented musician so could provide much of the entertainment for the evening, and I’ve heard he loves curries and I do a pretty mean Chicken Penang. Perhaps if I allowed +1’s he’d even bring Taylor Swift and they could sing duets together all evening and talk about their love of cats together. An author, John Green. I have 13 different copies of Pride and Prejudice on my shelf so it’s almost insulting that I wouldn’t revive Jane Austen for a seat at my table, but after spending four hours across late yesterday evening and this morning reading The Fault in Our Stars from start to finish I would really just like to say thank you to John Green. I sobbed and I laughed and I got frustrated at the ending a little which is ironic considering the premise of Hazel’s journey throughout the novel but most of all I was so deeply convicted by my attitude to life through this book. I cried as I found myself relating to Augustus’ desire to be loved by everyone and thought, why couldn’t I just be more like Hazel. Please read this book if you haven’t yet, it’s well worth the tears. Jesus. No need for a category because He fits so many. But besides the obvious reasons and questions I could ask, I’d want Jesus as my table because to me, he’s the first real and loving example of sharing a meal with unlikely people. Jesus ate with tax collectors, prostitutes, crowds (ever tried eating with 5,000 people?!) and most importantly, refugees. He shared food with the poor, oppressed and marginalised, turning the societal norms of His time completely on their head. Sharing a meal together equalises your relationship with people around the table – there is no status, class or prestige. A refugee. Just like Jesus, I want to shake up the traditional list of who I might invite to dinner and extend an invitation to my home to someone I may not know, but is yet to be welcomed. A new initiative by World Vision and Welcome to Australia recently caught my eye, an opportunity to share a meal with a refugee, someone newly arrived in Australia. I want to challenge you to consider the opportunity and take part with me during refugee week in June. Would you be willing to extend hospitality to someone branded as illegal, unwelcome and a boat person by our media? 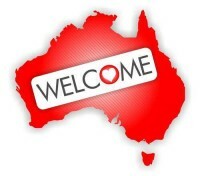 Welcome to My Place ( check it out here: http://welcometomyplace.org.au/) is a great starting point with resources and ideas for engaging refugees in your local community. It’s terrifying to think of the amount of money we spend on food each year, or the billions poured into the dieting industry every year and then to compare this to the lack of money and time we spend engaging with our community. The average Australian spends $32 a week on restaurant meals (source: https://www.moneysmart.gov.au/managing-your-money/budgeting/spending/australian-spending-habits) – would you consider saving this for a month and spending it on a meal at your table with others? I found this beautiful quote when trying to find a way to articulate how it feels to share a meal with someone and I think this sums it up perfectly: “When you invite someone to sit at your table and you want to cook for them, you’re inviting a person into your life.” (Maya Angelou) Will you invite someone new into your life over dinner? P.S – On the topic of sharing meals I have a special challenge for you to take up tonight – I’m tour leading a group of 14 people on a cycle (300KM!!!!) and trek around Cambodia in July and I need to raise $3,500 for Baptist World Aid’s projects before I go. For every donation $50 or over, you’ll receive an invitation for a Cambodian meal at my place – menu coming to the blog soon! 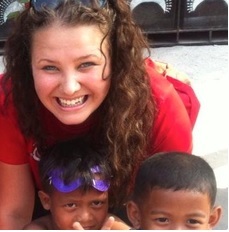 To donate $50 now, head to https://cambodiachallenge.everydayhero.com/au/caitlin – can’t wait to take you on this journey with me! Thank you so much.